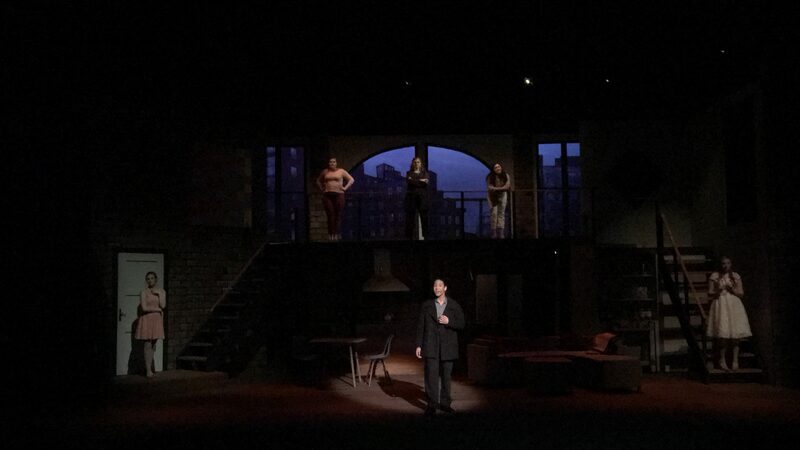 The Theater Department took the stage again last weekend with a modern rendition of the 1970’s musical, Company based on a book by George Furth, and adapted into a musical by Stephen Sondheim. The storyline follows main character Robert, played by James Lim, through a series of encounters with his married friends as they reveal to him the not-so-happily ever after side of married life. Robert – the only bachelor of the group – is exposed to the realities of what marriage looks like from the inside. He ponders whether or not he will stay single for the rest of his life, and continue to find company in his already developed friendships, or decide to finally settle down with that special someone who – according to the married experiences of his friends – may or may not drive him crazy. The scene is set in Robert’s New York City apartment on his 35th birthday and follows him on a journey through his own mind as he reminisces about the pros and the cons of married life as portrayed through his friends and their spouses. The dynamics of Robert’s own relationship with himself, his lovers and his friends ebb and flow as he uncovers the deepest, darkest realities of marriage and commitment layer by layer. The show, directed by Daniel Inouye, and choreographed by Gregg Hurley was yet another masterpiece from the Theatre Department that artfully portrayed both the positives and negatives of married life through the skilled musicianship and talent of the cast and the creative abilities of the directors and artistic team. The cast was small, with only sixteen performers in all, two of which were ensemble making the rest leads and supporting leads. Each set of characters had enough stage time for the audience to connect with the diverse and distinctive personalities of each character, as well as the unique dynamics of each couple. This must-see musical gets to the heart of what it means to grow up and face the realities of what sharing life with someone looks like. Through the eyes of Robert, the audience is able to grapple with the same questions he faces throughout the show as if he is the lens through which we seek to answer our own difficult questions. 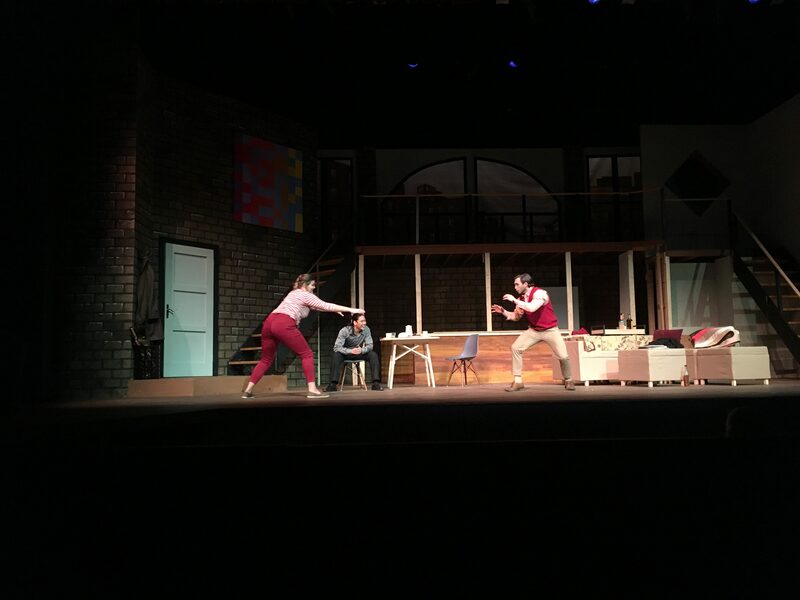 The show continues in its second, and last week of performances this weekend, February 14-17 starting at with an 8 p.m. showing on Thursday night, followed by a Friday and Saturday night showing at the same time in Miller Theater. The Friday night performance will be followed by a talkback hosted by SAGE where they will lead a panel discussion with audience members about themes from the show. The last performance will be on Sunday, February 17 at 3 p.m. Tickets can be purchased online at messiah.edu/tickets, at the ticket office or at the door.